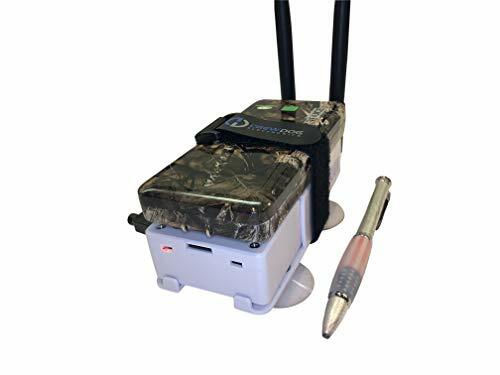 Stratux dual band ADS-B receiver transforms your tablet into the ultimate flight tool with external GPS puck for Wide Area Augmentation (WAAS) GPS, subscription-free ADS-B weather and air-to-air traffic. WAAS GPS provides accurate information coordinates within +/- 2.5m. It includes embedded AHRS chip supporting ForeFlight Synthetic Vision and other EFBs. AHRS stands for Attitude and Heading Reference System. This provides true yaw, pitch, and roll information to your favorite EFB. Introduced more than a decade ago by the FAA, ADS-B (Automatic Dependent Surveillance-Broadcast) provides weather and traffic information to all aircrafts equipped with an ADS-B receiver, such as the Stratux, subscription-free. The Stratux provides the following ADS-B In services: Flight Information Service-Broadcast (FIS-B) - FIS-B provides regional and continental NEXRAD radar imagery from the National Weather Service, as well as NOTAMs, METARs, TAFs, PIREPs, winds aloft and other valuable in-flight weather services. FIS-B also includes information on temporary flight restrictions (TFR) and special use airspaces (SUA). It also receives traffic information on the 978 (ground to air) frequency for local traffic coverage and 1090 (air to air) for the widest possible coverage area, allowing you to receive and display air-to-air traffic, data, and FIS-B weather including animated regional and CONUS NEXRAD, METARs, TAFs, AIR/SIGMETs, PIREPs, winds and temps aloft, TFRs, NOTAMs, and SUA information. ASSEMBLED ADS-B IN UNIT: Stratux dual band ADS-B receiver includes removable external GPS puck, AHRS, fan controller, 6000mAh battery pack, suction mount, strap, SD card adapter, supports ForeFlight Synthetic Vision and other popular EFBs. It has a 30 day return policy and technical support backed by Crew Dog Electronics. PORTABLE: Stratux is a highly portable receiver including a suction mount for window mounting. 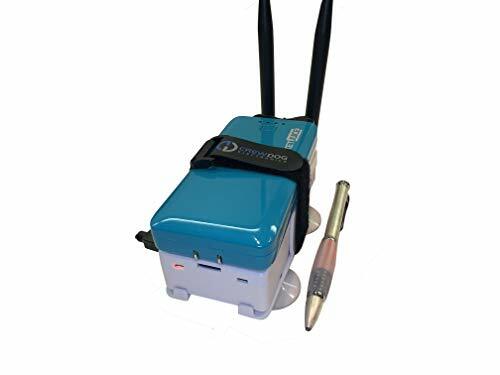 Provides ADS-B traffic and weather information and navigation GPS position using removable GPS puck with internal GPYes WAAS GPS receiver, supports multiple iPads, iPhones, or Android tablets connected via WiFi. Perfect for WiFi only iPads and tablets. LATEST FIRMWARE: Latest Stratux software (v1.5b1) is already loaded on MicroSD card. Just plug in included rechargeable battery pack for 6 hours of flying time. Supports pass-through charging. COMPATIBILITY: Stratus 3 functionality at Scout prices. Built using Raspberry Pi 3 board and parts direct from Stratux project founder. Supports ForeFlight, FlyQ EFB, Navigator, AvNav, WingX, Avare EFB, FltPlan Go, DroidEFB, AerovieReports, Avplan EFB, iFly GPS, DroidEFB, OzRunways EFB. Their compact architecture and power and memory options make NEO-6 modules ideal for battery operated mobile devices with very strict cost and space constraints. The 50-channel u-blox 6 positioning engine boasts a Time-To-First-Fix (TTFF) of under 1 second. The dedicated acquisition engine, with 2 million correlators, is capable of massive parallel time/frequency space searches, enabling it to find satellites instantly. Made of fire retardant material. 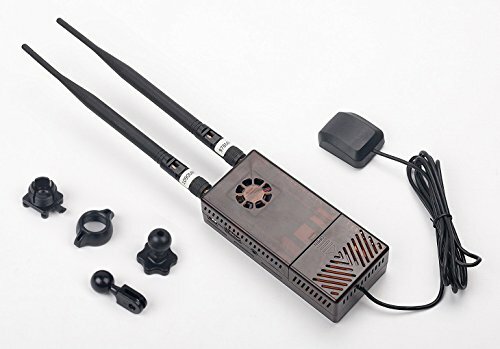 Suction Cup Link: https://www.amazon.com/dp/B06XSH5D4K/ref=olp_product_details?_encoding=UTF8&me= Fits AHRS Module. Dual fan configuration for better cooling of both Raspberry Pi and ADS-B receivers. No tools required to assemble. 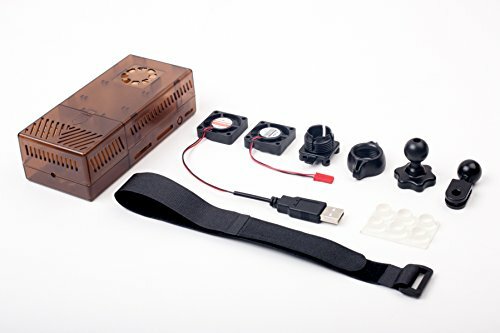 Includes cooling fan and the case and mounting accessories. Multiple antenna holes allow more flexible antenna postion and better portability. Raspberry Pi Not Included. 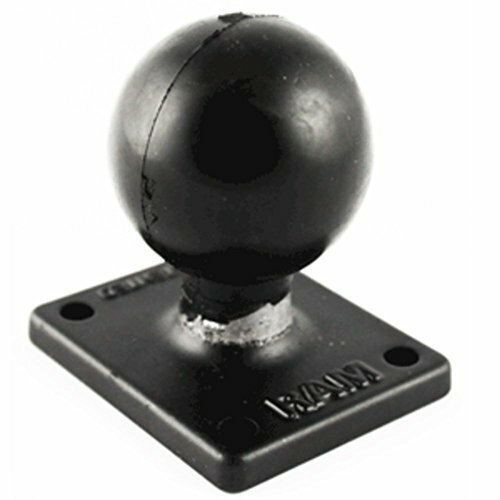 The case has a standard tripod/suction cup mounting nuts for convenient mounting. Also compatible with Gopro mounting system. 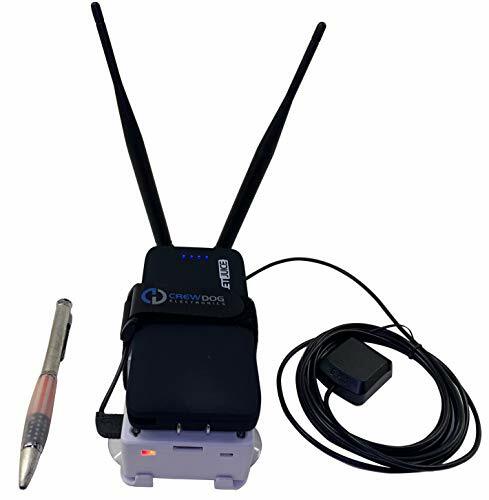 It includes all ports for power cable, external GPS antenna etc. Included spacers and velcro strap are for mounting power bank on the case. Has enough room to fit in VK-162 VK-172 GPS module, GPYes u-blox 7 GPS unit, ADS-B receivers, and AHRS module. Made of fire retardant material. Includes cooling fan and the case and mounting accessories. Multiple antenna holes allow more flexible antenna postion and better portability. Raspberry Pi Not Included. The case has a standard tripod/suction cup mounting nuts for convenient mounting. Also compatible with Gopro mounting system. It includes all ports for power cable, external GPS antenna etc. Included spacers and velcro strap are for mounting power bank on the case. Has enough room to fit in VK-162 VK-172 GPS module, GPYes u-blox 7 GPS unit, ADS-B receivers, and AHRS module. PLEASE NOTE: GPS SOLD SEPARATELY. First and foremost Airgizmo was committed to keeping the "footprint" of the Panel Dock to an absolute minimum. The 696 is already 5.7" wide by 7.7" high. So Airgizmo's tradition of adding a latch to the top or side of the Panel Dock had to be changed. They absolutely had to stay within the 6.25" width of a standard radio stack, and they really wanted the overall height to be as short as possible. The solution is a latching mechanism that is virtually invisible from the front of the dock and does not protrude beyond the overall footprint of 6.25" by 8". Next, Airgizmo needed to provide a way to manage the cables that connect to the 696. As with their other Panel Docks, they have provided keyholes that capture the cables and keep them from falling into the panel. The 696 is installed into the dock by resting the bottom of the GPS on the Panel Dock and attaching the cables. Then the GPS is snapped into the Panel Dock and finally it is latched in place using the latching wheel located on the right side of the dock. 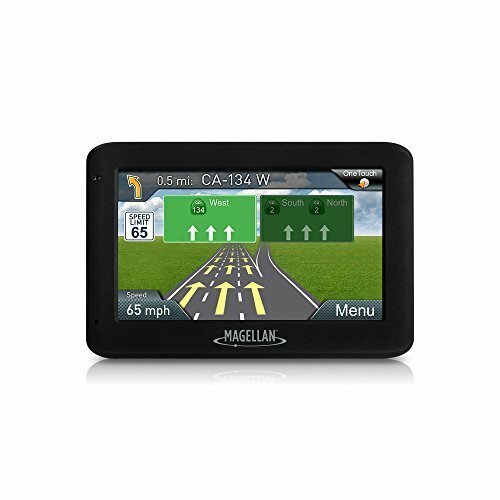 As with their other Panel Dock products, the 695/696 Panel Dock allows you to securely mount your GPS in your panel while allowing you to remove the GPS from the plane quickly and easily. The result is a streamlined and professional installation that adds to the functionality of the GPS. ASSEMBLED ADS-B IN UNIT: Stratux dual band ADS-B receiver includes AHRS, fan controller, 8000mAh battery pack, suction mount, strap, SD card adapter, supports ForeFlight Synthetic Vision and other popular EFBs. It has a 30 day return policy and technical support backed by Crew Dog Electronics. 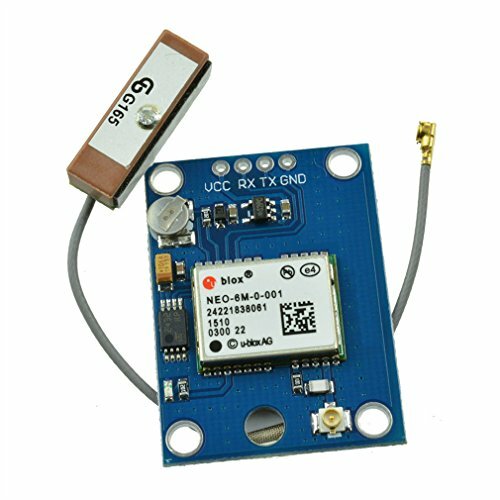 RXWX Dual band ADS-B receiver - pre-built. Powered by Stratux software. Internal WAAS GPS and AHRS sensors. Battery not included. Dual band 978 MHz/1090 MHZ (UAT+1090ES). Internal WAAS GPS and AHRS sensors. Pre-loaded with Stratux v1.4r2 - AHRS enabled. 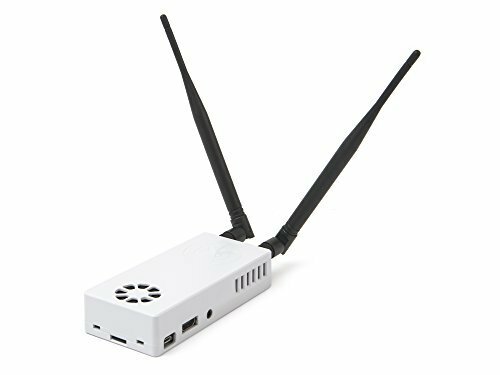 Built and tested with new injection molded white ABS case. 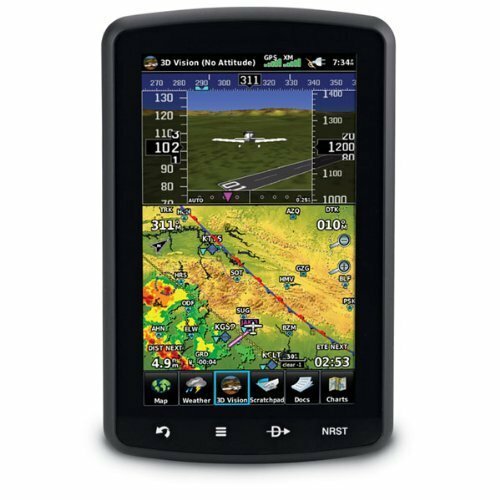 The aera 660 aviation portable puts the latest Garmin technology in the palm of your hand, and it carries on our tradition of creating innovative navigators that go way back to the beginning of handheld aviation GPS. While aera 660 is light, compact and fits in any flight bag, it's also packed with capabilities. As a dedicated navigator, it quickly and reliably acquires GPS and GLONASS satellite constellations and combines advanced navigation tools with rich, interactive, dynamically drawn aviation maps. And it displays it all on a bright, sunlight-readable 5-inch diagonal capacitive touchscreen display. Package includes: aera 660, Yoke mount with power cable, Battery, AC adapter, USB cable, Quick start manual and related documentation. 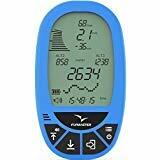 The VARIO LS is a basic, easy to use affordable instrument developed with beginners in mind or advanced pilots who just want to keep light and it simple. The VARIO LS features three altimeters, an audio and graphic variometer, a flight time clock, and an easy to read hybrid display. Garmin's most visionary portable GPS yet, the aera 796 features a unique 3DVision perspective view of the topography beneath your aircraft. With a choice of portrait or landscape orientation, the aera 796's "virtual reality" flight graphics can be framed with GPS-derived indications of ground track, altitude, groundspeed, vertical speed, and turn indication-all updated 5 times per second. The large 7-inch hi-res touchscreen brings tap-and-go simplicity to navigation. And geo-referenced FliteCharts, IFR Enroute Chrts, VFR Sectional Charts, SafeTaxi diagrams, AOPA Airport Directory, and more, all come pre-loaded! A built-in digital document viewer expands the unit's utility as an electronic flight bag (EFB), letting you view an entire approach at a glance. You can add airways, satellite weather with NEXRAD, and XM audio entertainment. The aera 796 is the future in your flight bag. Delivery:The package will ship from China,we have standard and express delivery.The exprss delivery usually take 3-5days to arrive,but the shipping free is also expensive.So please pay attention when you place an order. 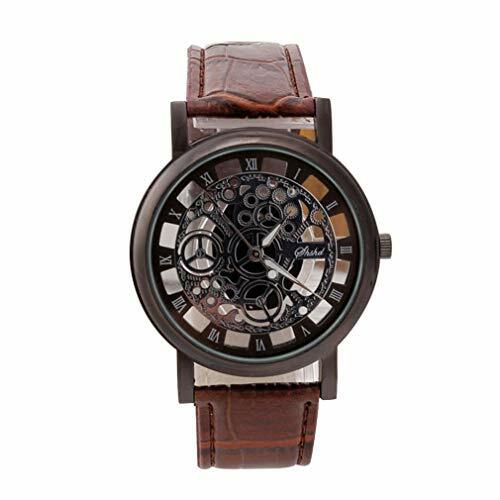 The watch dial is larger than the usual one.Please refer to the watch parameters we provide. 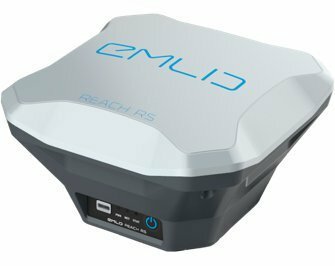 Package includes: 1 x Reach RS 1 x Carry case 1 x Radio antenna 1 x Adapter for survey pole 1 x USB cable HIGH PRECISION POSITIONING REQUIRES TWO RECEIVERS - The REACH RS is ready to use out of the box. 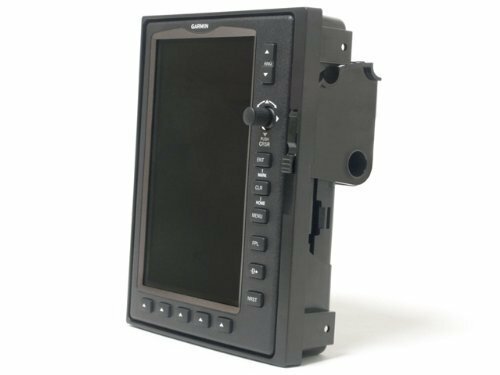 The new Bendix/King AV8OR ACE Portable Multifunction Display is based on the highly acclaimed AV8OR Handheld GPS navigator. Just like the successful AV8OR Handheld unit, the AV8OR ACE has airborne weather and traffic information (requires separate WxWorx XM Satellite and Zaon Portable Collision Avoidance System receivers), built-in automotive navigation capability, and a suite of multimedia tools. The AV8OR ACE gets you to the airport and packs some serious entertainment options along the way. The AV8OR ACE portable MFD offers a large sunlight-readable 7-inch display, and is as easy to use as the AV8OR Handheld, thanks to its touchscreen user interface. 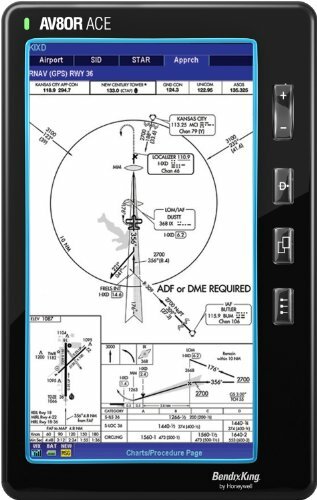 The AV8OR ACE provides detailed geo-referenced FAA charts, qualifying it as a Class I or Class II EFB (depending on installation). Used in compliance with FAA guidelines, this makes it possible to leave your paper charts behind. The AV8OR ACE display enables pilots to easily read detailed maps, en route charts, and approach plates. The AV8OR ACE includes FAA IFR charts for reference, and it even displays your aircraft position and route on Hi/Lo En route Charts, Approach Plates, and Airport Diagrams. The AV8OR ACE allows pilots to view airport services information--including fuel pricing--while still in the air. This optional service is available for a nominal fee and is provided via Web download, updated daily from Flight Guide. Subscribers have access to the latest fuel pricing and on-field services data, restaurants, taxi services, and hotels, even noting free pick-up and discounts at thousands of locations across the U.S.
AV8OR's simple connection to your Bendix/King KDR 610 or WxWorx XM satellite receiver (sold separately) delivers true graphical weather to your cockpit. A full range of Weather products can be displayed, including NEXRAD Composite Reflectivity, Lightning, METARs, AIRMETs, SIGMETs, Convective-SIGMETs, PIREPs, TFRs, and more. Weather is available for U.S. and Canada. AV8OR ACE also includes XM radio tuning. AV8OR's simple hookup to your Zaon Portable Collision Avoidance System (PCAS) XRX (sold separately) provides a variety of traffic advisory options. Traffic can be shown as an overlay on the moving map or displayed on the dedicated Traffic page. As an added safety feature, traffic alerts can be enabled to "pop up" the traffic page regardless of what is presently being displayed. Knowing what's ahead puts you ahead of the rest. AV8OR ACE's optional automotive navigation system provides both 2D and 3D navigation views to get you where you need to go in the most efficient way possible. With more than 10 million points of interest (POIs) in the U.S. and two million POIs in Canada, you'll always be able to find the nearest stores, restaurants, gas stations, and more. Available driving regions include U.S./Canada, Europe, Southern Africa, Australia, or Mexico/Brazil. Visit www.bendixking.com for detailed coverage maps. When you're not flying or driving, sit back, relax, and listen to music, view pictures, read an electronic book, or watch a movie with AV8OR ACE's built-in media players. The standard 8 GB SD card has room to spare to add your own media library. AV8OR ACE also includes ports for video input and audio output. Easy to Use, Easy to Access The AV8OR ACE incorporates an exceptional sunlight-readable touchscreen user interface and dedicated hard buttons for aooming, going direct-to, changing chart views, and accessing the menu. Panning, scrolling, zooming, and even looking up waypoints are all simple and intuitive, meaning you will be spending less time accessing information and more time flying your aircraft. Database and chart updates are easy to access by simply connecting to your PC. Flight plans created in programs such as Seattle Avionics Voyager and Jeppesen FliteStar can be easily loaded to your AV8OR ACE. GoFly Atlantic Database Pre-Loaded This version of the AV8OR ACE comes pre-loaded with the GoFly aviation databases for the entire Atlantic region, which features Africa, Europe, and the Middle East (no GoDrive automotive database is included). GoFly Americas Aero Only Database GoFly Atlantic Aero Only Database GoFly Pacific Aero Only Database What's in the Box AV8OR ACE Base Display Unit, standard battery and slimline battery, 12V-28V DC adapter, 120/220V AC adapter, PC to USB cable, earphones, carrying bag, display mounting bracket, aviation yoke mount, automobile windshield mount, CD with user's manual, quick reference guide, stylus, database update coupon, and AV8OR ACE quick start tip sheet. Includes cooling fan and the case. Raspberry Pi Not included. 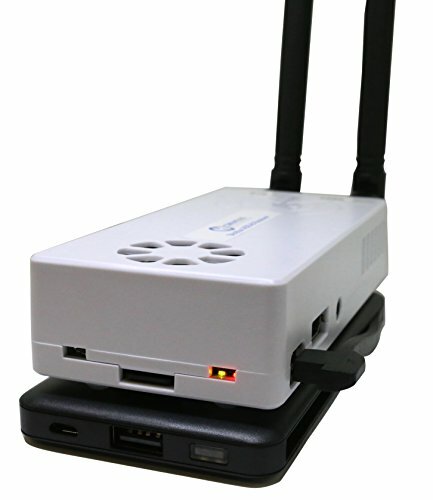 It includes all ports for power cable, external GPS antenna etc.